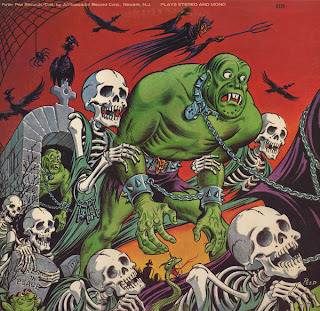 This 10 inch 33 1/3 sports a fabulous cover. 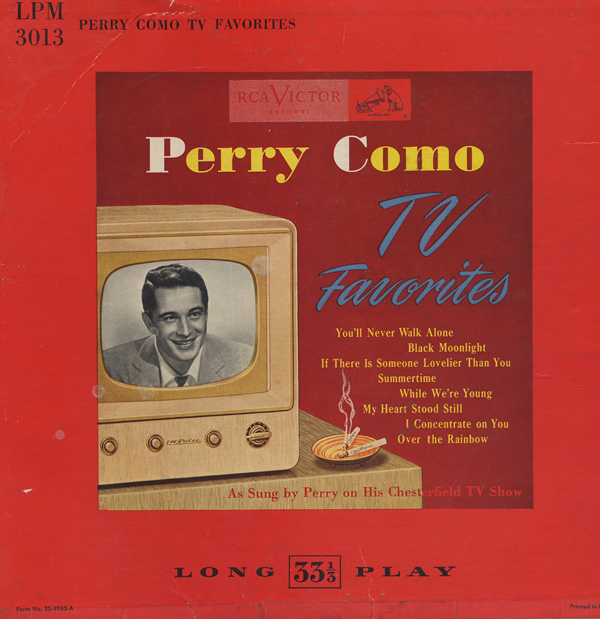 The graphic promotes not only Perry Como, but RCA's table top set (17T200) in blond. There is an awesome version of Summertime on this album. All the London Phase 4 albums I have in the collection come in nice heavy book-fold jackets that feature glossy covers. This jacket is a gatefold, but printed on thin stock in the European style of the period. 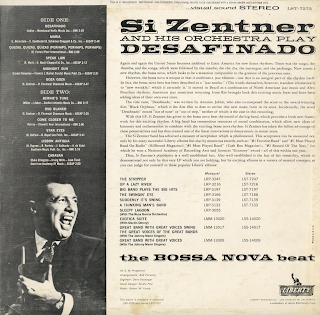 The disk features a Telefunken label as shown above. This is a book-fold jacket that features a fold out comic book styled insert so that you can follow the disc story in pictures. Also check out Arriba a quirky offering, which apparently, came quick on the heels of this release. 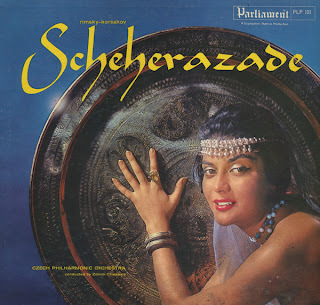 The two albums feature the same basic formula, slightly quirky instrumentals including one or two odd vocal tracks that, I assume, features Ros singing. 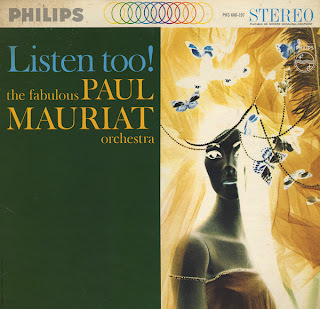 Paul Mauriat - Listen Too! Here is another Mauriat easy album that features a graphically dynamic cover art. Read more about Paul Mauriat on wikipedia.org. Light, fun and just a touch quirky. 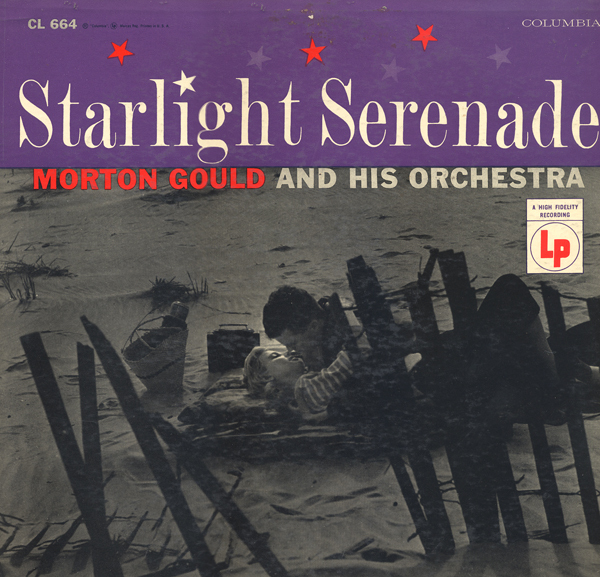 Easy listening from Morton Gould. Downloads are available from usual sources. I recommend the track, Speak Low. 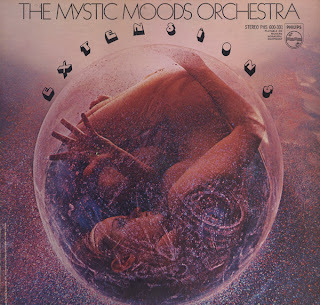 This was the 17th "Moods" release. The April 19, 1969 Billboard "spotlighted" the album saying: Their (Moods) revolutionary sound in music will again prove to be another sales giant. 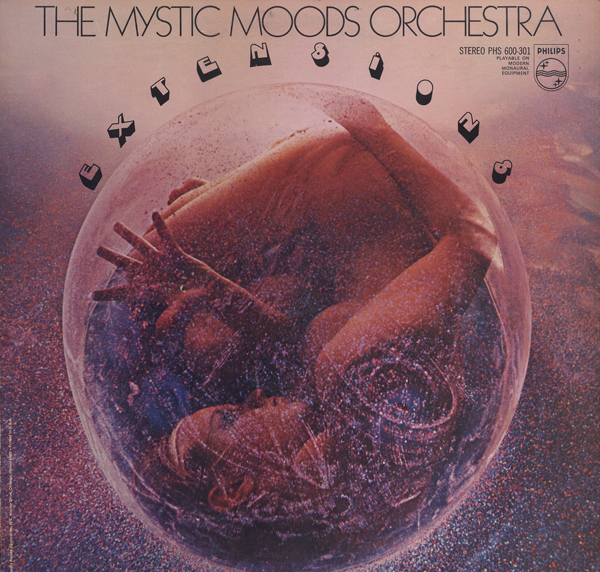 Mystic Moods sets blend natural sound effects, easy listening, 60 pop and quirky arrangements. The albums are like concept projects even though popular tunes are covered. On this album your will find a beautiful cover of The Beatles Norwegian Wood. 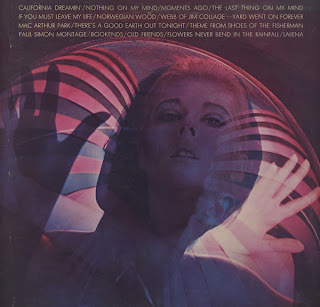 And there is also a cover of Mac Arthur Park on the B side that is totally outrageous! 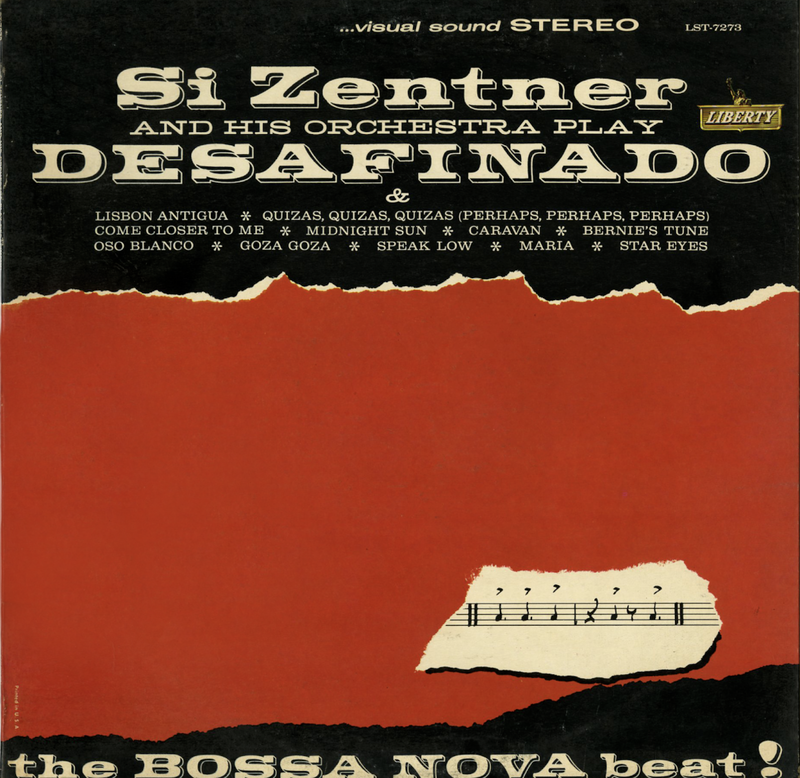 From Billboard - November 17, 1962: Bright and tightly swinging performances of a flock of tunes in bossa nova rhythm including the current hit "Desafinado," by the big-sounding Zentner crew. Also included are "Caravan," "Midnight Sun," "Maria" and "Star Eyes." 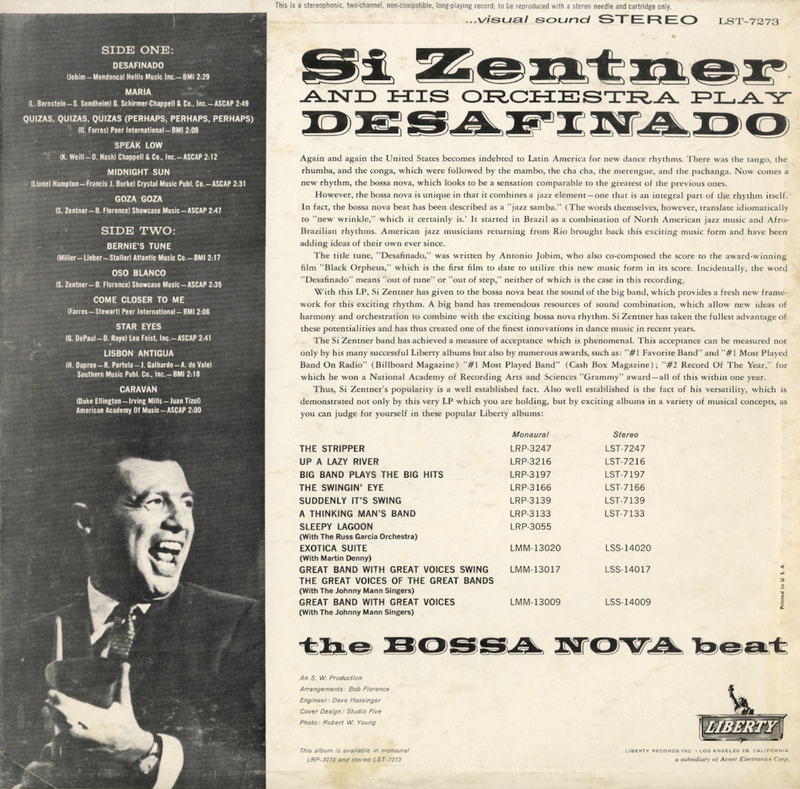 Could move to bossa nova fans. 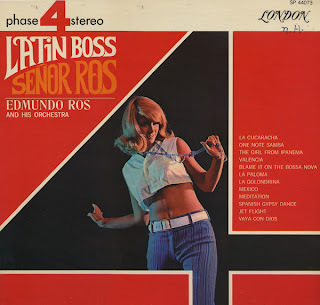 This is the second Sears produced LP I've found. 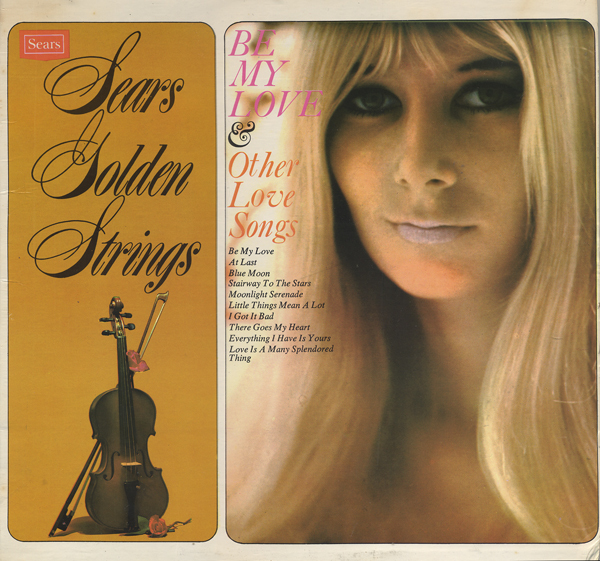 My first find (Golden Voices In Hollywood) was a bit of a treasure because Sears tried to cover pop songs with studio vocalists. That release was a campy 60s disaster. Sears, however, left the vocals off this release and gifted us with a straight forward and smooth mood set. The Sears price was $1.49. Here is an album sporting a great cover and excellent Phase 4 Stereo engineering. Musically it a quirky mix of light pop songs, including covers of Get Me To The Church On Time and Hello Dolly. Here's a festive cover on a budget record. The music is straight forward easy listening. Ravel's Bolero has a touch of "rose clenched between the teeth" feel to it, but that's about it. Here's a fun private press album found today at one of the thrifts I frequent. 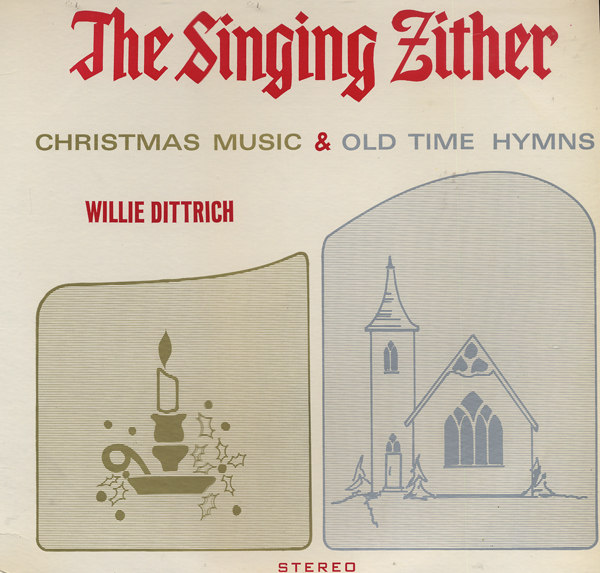 From the back cover: The Singing Zither belongs to Willie Dittrich of the Amana Colonies in Iowa (Homestead, Iowa). 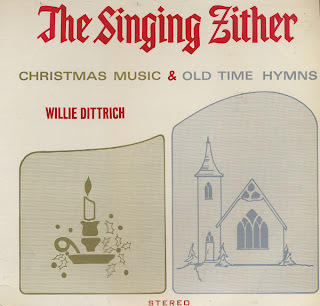 Although none of the venues are named, Dittrich played at least one local restaurant as well as other local venues including "one of eastern Iowa's local television programs." 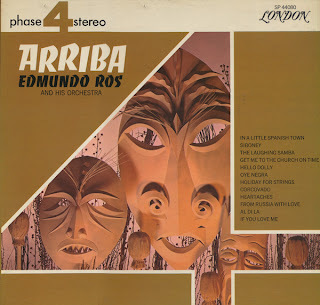 This is an Enoch Light label release. 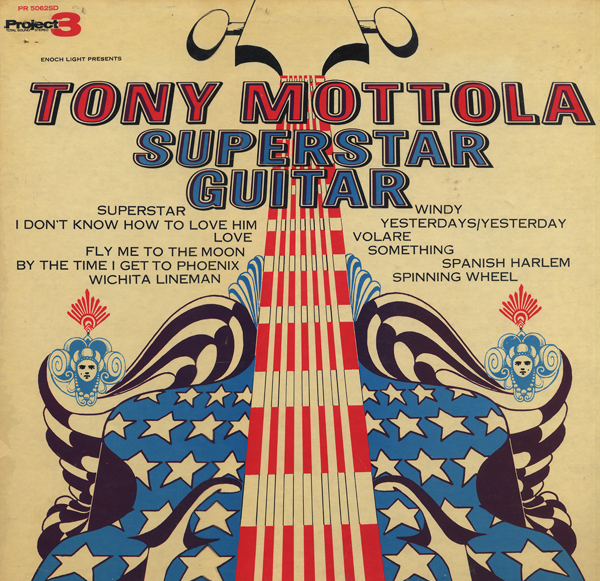 Mottola made a number of albums for Light. The arrangements on this set are just quirky enough to hold the attention. Check out Spinning Wheel! Mottola manages to make something out of this song. There are some great tunes on this album including a solo cover of a blend of Yesterdays/Yesterday by Harbach/Lennon. 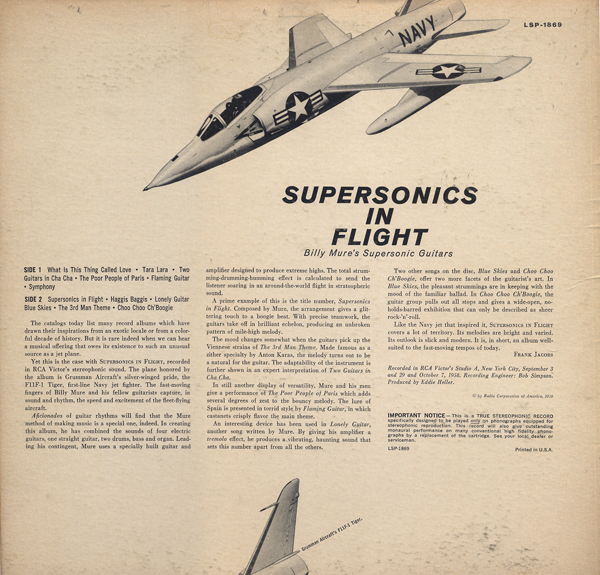 This is one of my favorite space age covers that features a Grumman F11F-1 Tiger. This album is a follow up to Mure's excellent Fireworks LP. I also have a blog post up featuring Mure's work on Blue Hawaii. 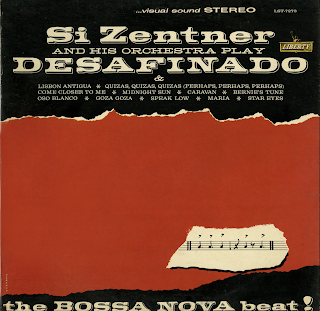 Tracks from this album are available online. I suggest Flaming Guitar as a download. 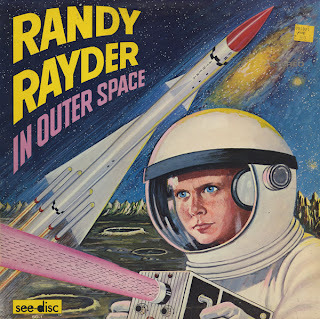 Excellent space age pop with awesome supersonic guitar playing! Read more about Billy Mure on spaceagepop.com. Great vintage cover on this album. Saul Bihari, head of Crown Records, announced in a 1965 issue of Billboard a "new label" called Custom. Custom would feature his answer to Living Strings and be sold at discount prices ($1.98 or less). Recordings would be made domestically and in Europe. There are a number of Lush Strings albums out there, including a few with interesting titles such as Spellbound and Ebb Tide. 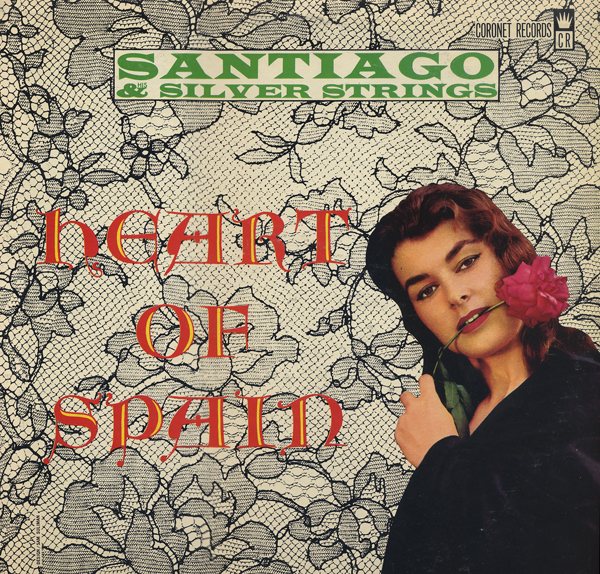 This album is fully orchestrated mood that features some nice vocal touches to give the music a hint of tropical mysteriousness. However, I picked a nice dramatic cover of Hawaiian War Chant to feature as the sample above. Narrated by Peter Waldron. Produced by Gershon Kingsley. 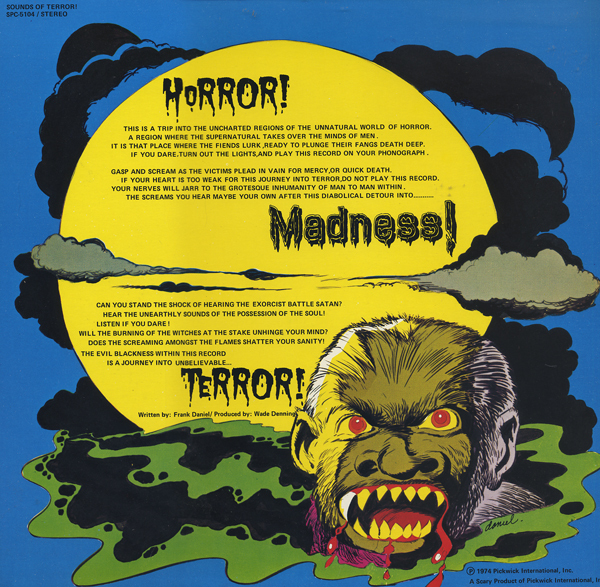 This halloween record really isn't scary and the cover isn't all that garish but the album was a fun listen. Each side is like a weird electronic mini-opera with sparse narration. From Billboard - June 16, 1960: The success of the Enoch Light percussion albums has led to much recording activity in this field. 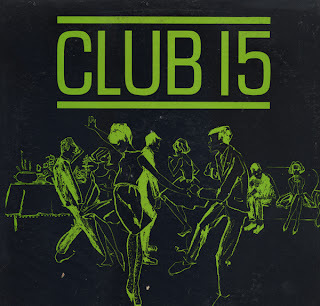 This is in that groove – and it's a mighty good album at that. 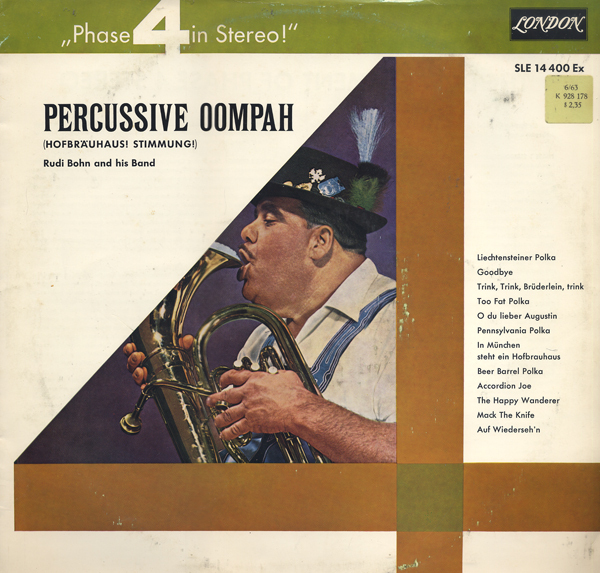 It features percussion with guitars, played by top musicians and recorded beautifully in stereo. The arrangements by Al Caiola are Smart, and the packaging is excellent. 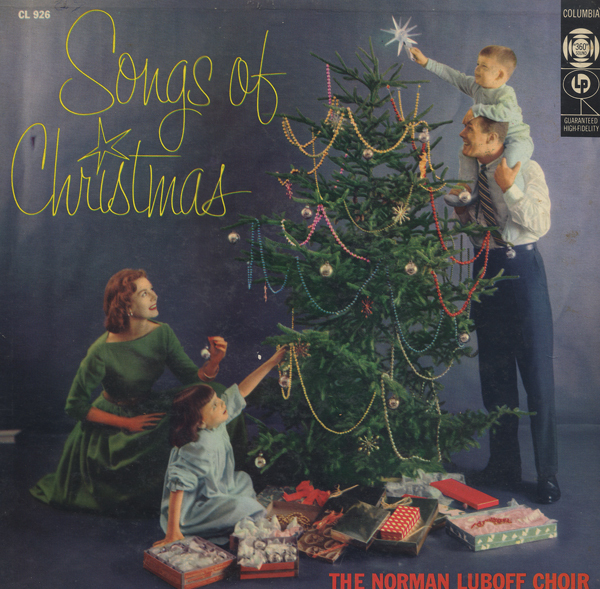 Tunes include "Gone With The Wind," "Just In Time," "Charleston" and Early Autumn." 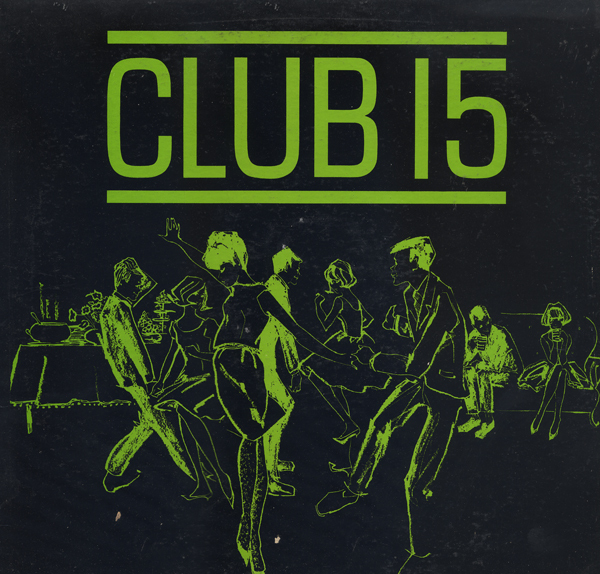 Club 15 was a construct of The Campbell Soup Company. 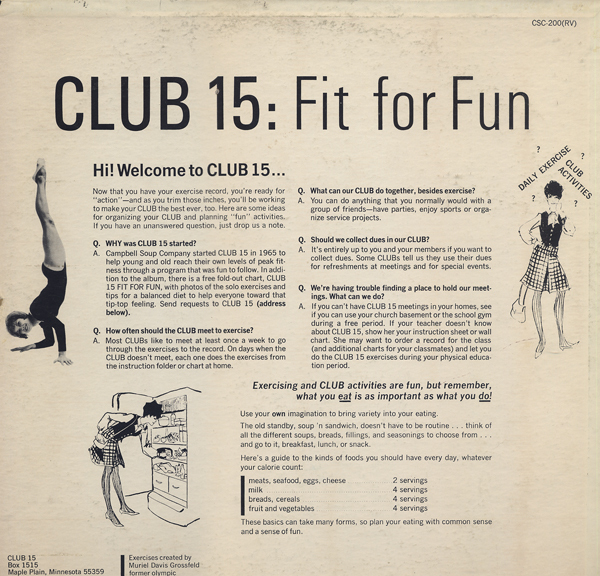 Club 15 was an "exercise club" for teenage girls. 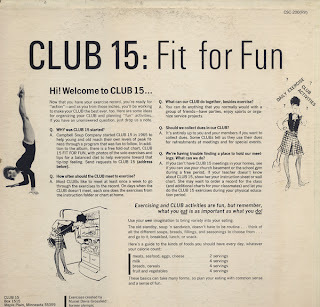 A former olympic gymnast and coach, Muriel Davis Grossfeld was contracted through a New York advertising firm, BBD&O to travel the country visiting schools and teach exercises to teenage girls. I think the album was made in 1968 or 69 or shortly after Muriel did coaching chores for the U.S. Women's Gymnastics Team came back from Mexico City. Read more here. Written by Frank Daniel. Produced by Wade Denning. 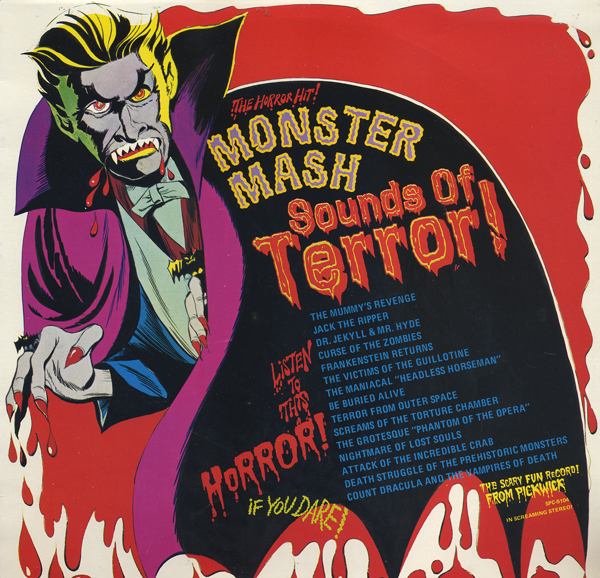 This is a great sound "effects" record! 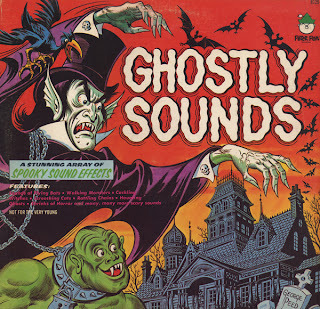 Out of all the "haunted house" albums I've listened to the production values on this record are, by far, the highest. I think kids listening to this might actually get a fright out of it. The tracks are sort of like mini-stories with a brief spoken word introductions followed by a rich blend of sound effects. Your imagination will then take over finish the story of terror. Great stuff. From the back cover: So don't try to sit back and relax because your feet won't let you and your ears will agree." That's a awkward sentence if I do say so. But you get the drift that this is a rocking album. The cover is misleading, designed to look white in a effort to do crossover sales. 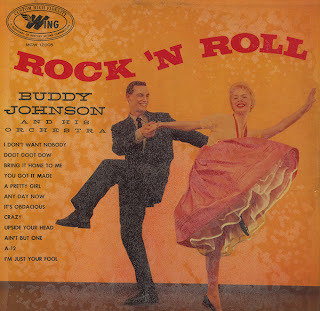 The vocal treatments, by both Buddy and Ella Johnson and Ricky Harper and Gil Askey are smoking. 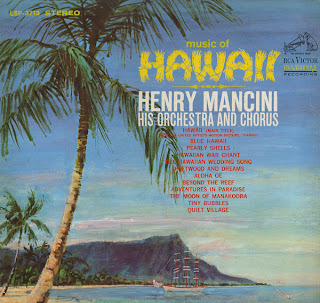 This album falls about in the middle of Mancini's discography. This album is a bit lighter then his earlier work, but there are still plenty of those Mancini musical twists and turns to keep you engaged. Hawaiian War Chant, the first track on the B side is especially cool. 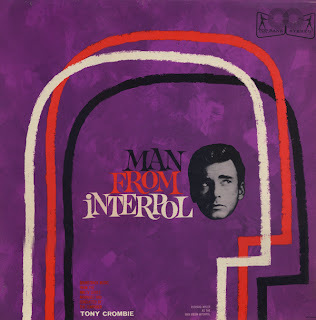 Soundtrack by Tony Crombie, an accomplished jazz drummer and composer from the UK. The TV series, starring Richard Wyler, that was purchase by NBC in 1960. 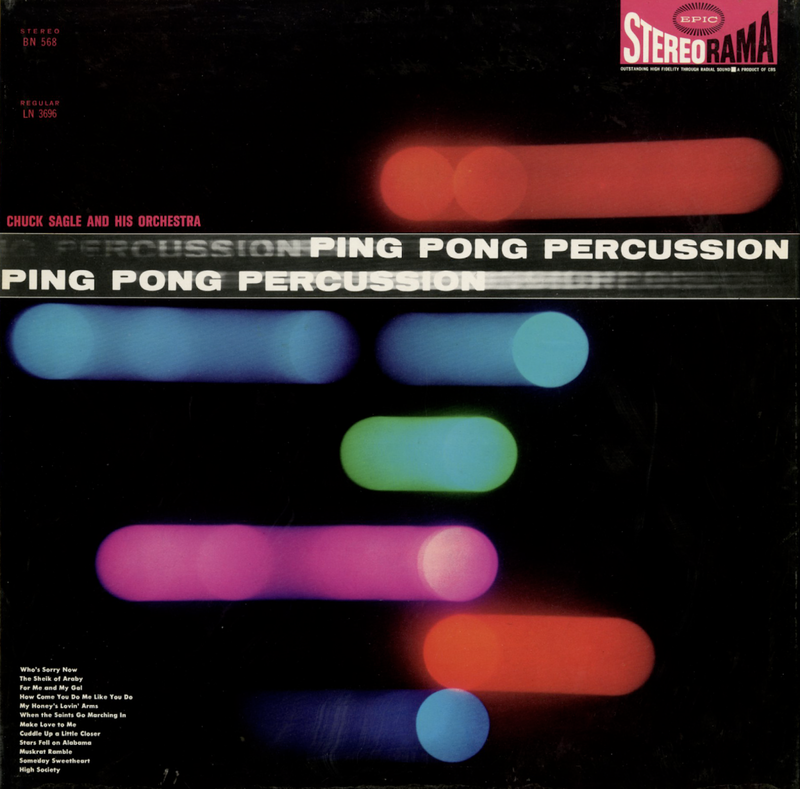 This is very cool space age lounge/jazz that happens to available on CD. 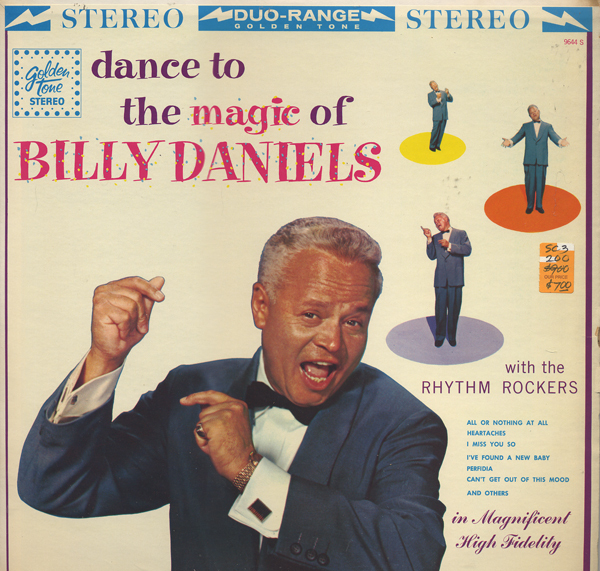 Here's a Billy Daniels album sporting a graphically sweet cover. Daniels was an active singer in the United States from the mid-1930s to 1986, two years before his death. Read about Daniels on his widipedia page. 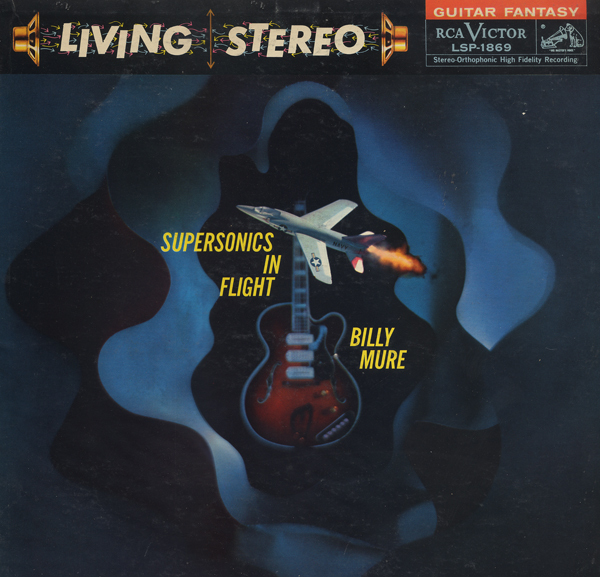 This is a rocking lounge styled record with some pretty peppy electric guitar breaks. Downloads are available online. I Found A New Baby would be the sample track I would download for a listen. Budget release with a cool exotic cover.